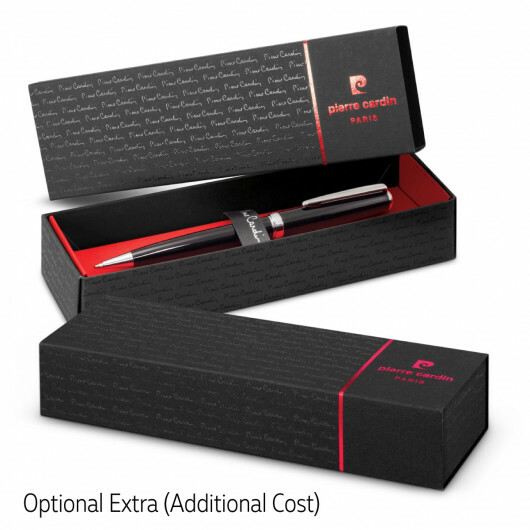 A timeless writing instrument that looks stunning with a laser engraving. 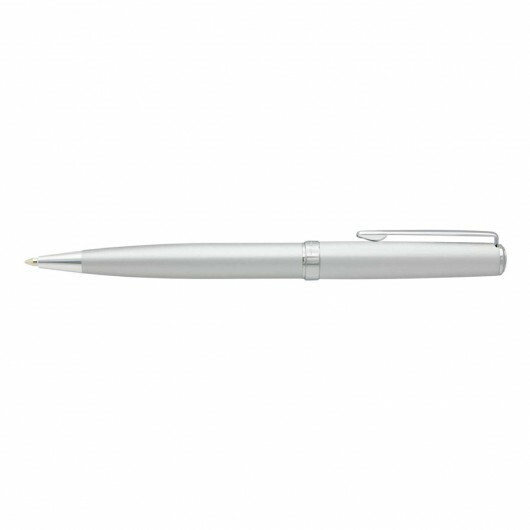 These timeless pens are crafted from brass and utilise a silky smooth twist action functionality with shiny chrome accents. 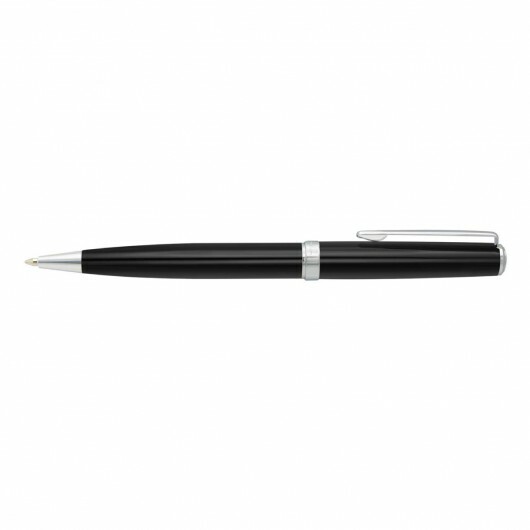 The Calais comes with a 4000m German Dokumental black ink and uses a tungsten carbide ball for superior writing quality. 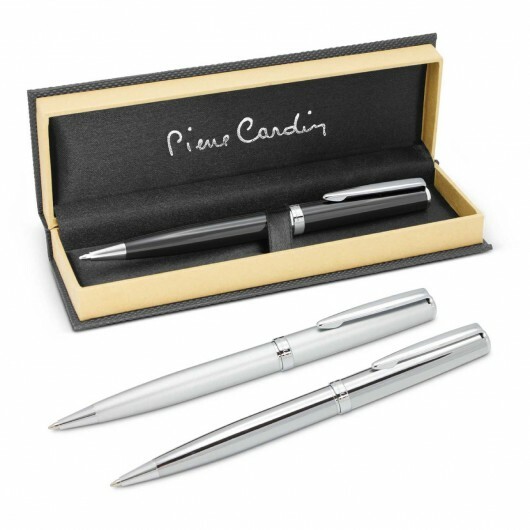 The Pierre Cardin logo is tastefully engraved onto the centre ring and comes presented in a Pierre Cardin gift box. These can also be supplied without a gift box or with a velvet sleeve for a lower cost (price on request). Dimensions Dia 11mm x L 135mm x 14mm (includes clip).